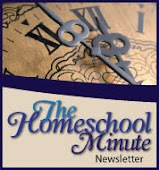 Staying organized, I have learned, is crucial to a successful homeschool. Not that the house can't be a mess and the dishes undone or that your schedule can be off (You have been meaning to do that science project for 2 months now!). To this end, I like to sketch out our plans for the school year. Lesson plans, daily plans and so on. It may take some adjusting at times (as we are currently doing!) and it may not always be adhered to, but it helps us to stay focused whenever possible. It shows us what our day can be and gives us goals. I have often drawn up my own daily schedules, from color coded to hand written. I am rather computer savvy with Microsoft Word and capable of designing my own forms. But as this summer bared down and time drew close to start my lesson plans, an email inspired me to let someone else do the work for a change. 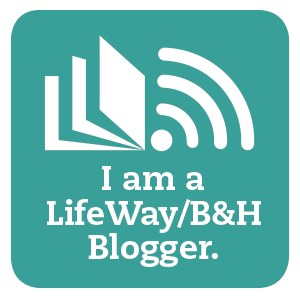 Approached by Heather Bixler about sampling and reviewing her Printable Homeschool Planner I was intrigued to lighten my load and give it a try. continue to add new forms on a weekly – sometimes daily – basis. Unit Planner, and Lesson Planner. Customers can pick and choose what to print, how much to print, etc. This should be updated to say "Organizer", it has operated as my lesson planner for the last four years. I have also decided to keep some copies of the book report form in our reading response binder. It was nice, as I sat down to plan out our year, having all this work done for me! My use-to-be favorite planner has increased to $30 and contained pages I didn't need or used sometimes in places I didn't like. This planner only cost me pennies for printing and provided only the pages I needed and placed exactly where I wanted them. This is one happy well-organized momma! 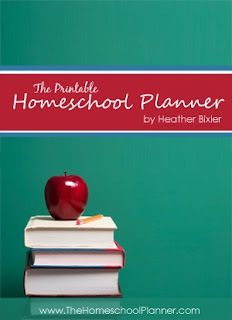 Visit The Printable Homeschool Planner to check it out for yourself! May God bless your homeschool organizing and planning! 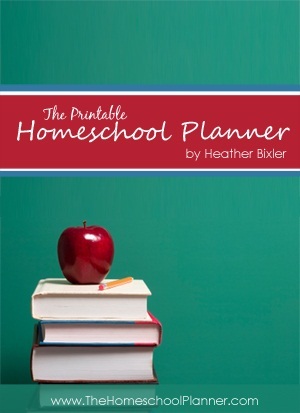 I was provided The Printable Homeschool Planner free of charge in exchange for my honest opinion and review of the product.